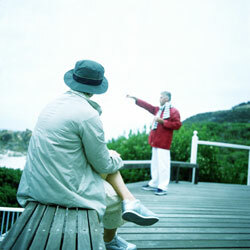 The Seniors’ Mental Health Research Section began its activities in 2001. Its objective is to carry out research to overcome the lack of data on mental-health problems in the elderly and on the interventions used to deal with them. The Section addresses the following research topics: depression, anxiety disorders, sleep disorders, suicide, use of psychotropic medications, and use of health care services. Because some Section members hold research grants from the Fonds québécois de la recherche en société et culture (Quebec fund for research on society and culture), the social dimensions of mental-health issues in older persons have also been studied. With financial support from the Canadian Institutes of Health Research, the Quebec Network for Research on Aging, and the Réseau québécois de recherche sur l’utilisation des médicaments (Quebec network for research on use of medications), members of the Seniors’ Mental Health Research Section have conducted a pilot seniors’ health survey (Enquête sur la santé des aînés, or ESA). The purpose of this survey was to identify the factors that predispose seniors to mental-health problems and the consequences that such problems have for this population. The data for this survey were collected from November 2001 to February 2003. The research team is now developing Version 2.0 of the ESA questionnaire, which the Section plans to use in a major survey of Quebec seniors’ health. This survey can be expected to yield a large volume of useful information. Now that the pilot studies have been completed, the Section has devoted a substantial portion of its efforts to obtaining funding for this broader study.